This is like when a celebrity dies and you think, “I thought they died years ago.” Barry Manilow, master of the piano and the art of easy-listening, has finally admitted in public that he is gay. 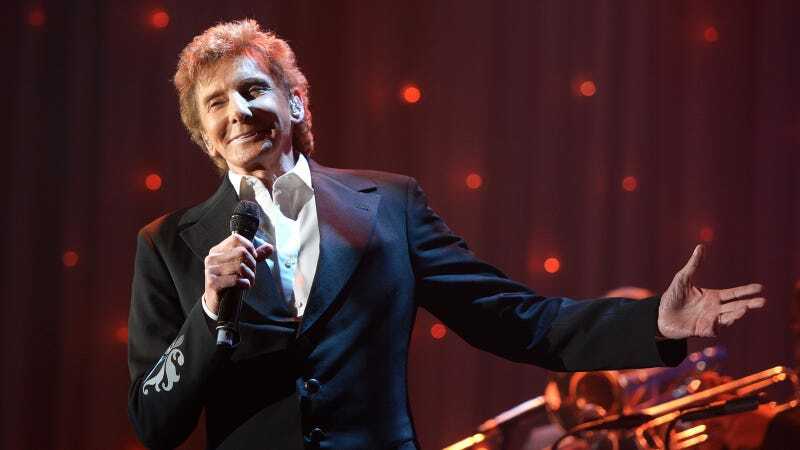 Manilow is 73. For an interview with People, Manilow opened the doors of his Palm Springs home, but most importantly his heart. In the piece, the singer-songwriter discusses his 39-year relationship with Garry Kief, who was a television executive when they met. Kief is now Manilow’s manager and the president of Barry Manilow Productions. The pair married in 2014, which is one reason why you may feel like you’ve heard this one before, but this is the first time Manilow is explicitly acknowledging their relationship in the press. 39 years without public acknowledgement! If you’re ever curious about the unique burdens gay people continue to face, imagine being with someone for four decades and never being comfortable enough to acknowledge your commitment to strangers. Babe, you basically announced you were a friend of Dorothy when you performed a virtual duet with Judy Garland at Clive Davis’s pre-Grammys party last year. Babe, people already had an idea. Looks like he made it.